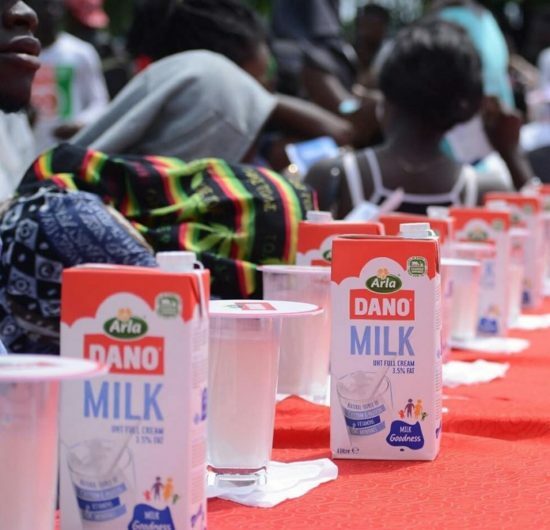 Dano Milk on Friday in Lagos entered into the Guinness book of World Records after successfully organising the longest drinks-pouring relay. 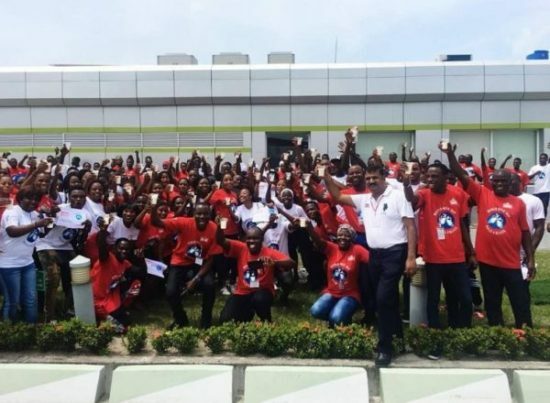 The News Agency of Nigeria (NAN) reports that the event which involved 700 Nigerian youths pouring milk drink was organised to celebrate the 2018 World Milk Day in Nigeria. 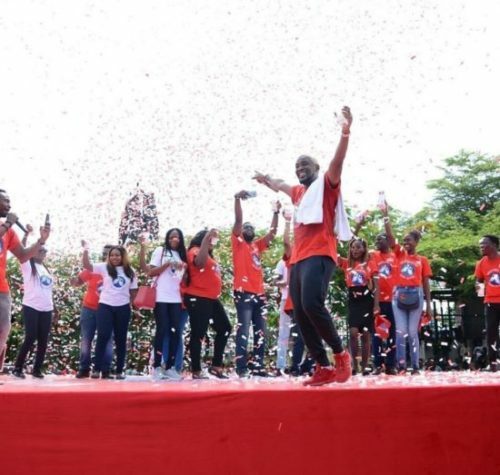 Their successful effort broke the existing record for a similar feat carried out by 550 participants on Nov. 9, 2013 in Caracas, Venezuela, organised by the Coca-Cola Group. The Lagos State Deputy Governor, Mrs Idiat Adebule, said the World Milk Day had been celebrated on June 1 since 2001 to focus attention on milk. Adebule said it was also to celebrate the important contributions of the dairy sector to sustainability, economic development, livelihoods and nutrition. “I am reliably informed that Nigeria’s adaptation of this year’s theme for the World Milk Day 2018 is titled `Raise a Glass, Nourish Naija,” said Adebule, represented by Mrs Titilayo Solarin, Permanent Secretary, Education District III. 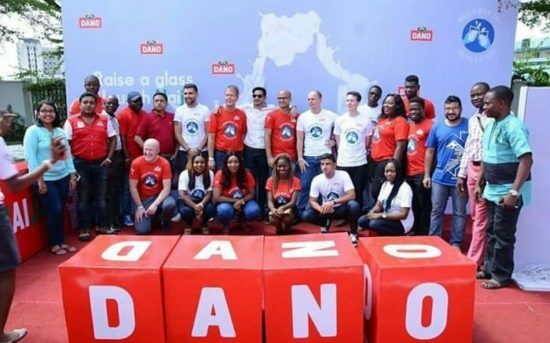 She urged the management of TG Arla Dairy Products Ltd., manufacturers of Dano Milk, to continue to create more awareness on the benefits of milk. Adebule restated the Lagos State Government’s commitment to improving the quality of life of the citizenry, adding that this was why it had given priority to the health sector. Also, the Lagos State Commissioner for Health, Dr Jide Idris, represented by the State Nutrition Officer, Mrs Olubunmi Braheem, said the theme for this year’s event could not have come at a better time than now. According to him, statistics have shown poor nutritional indicators of children in Nigeria and Lagos State with 43.6 per cent and 11.4 per cent having stunted growth respectively. He said: “Milk is designed to help children grow fast; milk is a rich source of high-quality protein, containing all of the essential amino acids. Whole milk is also a rich. “The National Cancer Institute (NCI) also points to some studies that suggest that an increased intake of calcium and lactose from dairy products may help to prevent ovarian cancer. “Promotion of breastfeeding for children less than 24 months and promotion of milk and milk products for older ages will go a long way to improve healthy nutritional status in Nigeria and all over the world. “As such there will be overall improvement in our nutritional status indicators. On his part, Mr Mads Burmester , Managing Director, TG Arla Dairy Products Ltd., thanked the government and people of Lagos State for their continuous support to the company.